The annual FMC photo competition encourages club members and individual supporters to get out there and capture that special shot. The way it works is that clubs organise their own internal competition then forward the winning two photos per category to FMC for the overall competition. The way it works is that clubs organise their own internal competition then forward the winning two photos per catagory to FMC for the overall competition. Individual supporters* who don’t belong to a FMC affiliated club can also enter, and for the purposes of judging, all the supporters will be regarded as belonging to one ‘club’. Each supporter can enter up to two photographs in each category, these will be judged against the other supporter photographs, with the winners gaining entry to the overall competition. 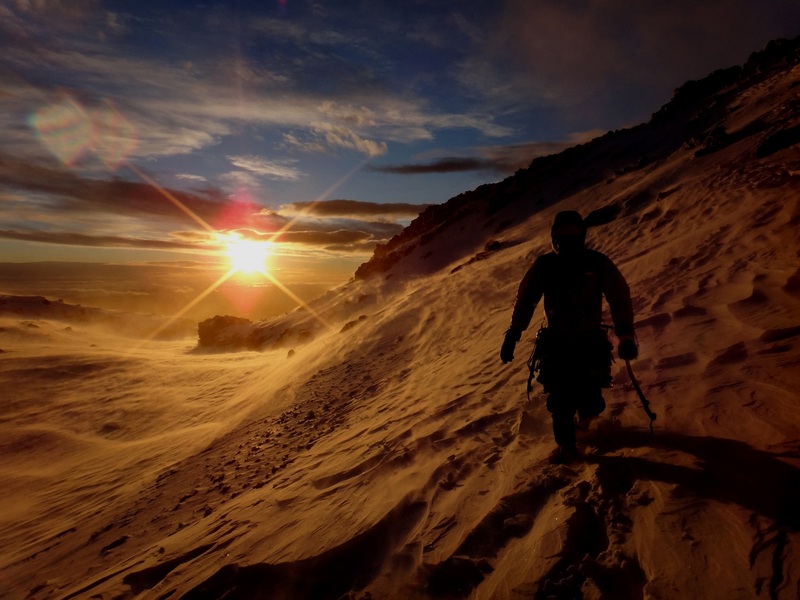 The overall competition is judged by an illustrious selection of photographers and the winning entries are published in the November issue of FMC’s Backcountry magazine. The FMC competition is later in the year, with the intention to give more time for clubs to hold their own club photo competitions. This year, we are trialing a new category, and introducing the concept of an annual theme. LONG EXPOSURE – Trial category for 2019, which is explained below in rule #4. We are introducing an annual theme to the competition, which encourages photography that documents topical places which we are fighting for, current campaigns we’re battling and values under immediate threat. The theme for 2019 is Forgotten Lands. Work by FMC on this campaign has been on-going, but we want to remind our members and the public of the plight of these Forgotten Lands again in 2019. We encourage you to take another look at the list of Forgotten Lands, and plan a trip with your camera in hand. Any such photo would be entered in its relevant category as normal, but on the entry form you’d tick that it was a theme shot, since it was taken in one of those Forgotten Lands. There will be a separate prize for the best theme photo which was taken in the Forgotten Lands, and we’ll used a selection of the best images for a Wilderlife photo essay, and for future updates on this campaign. Files should be submitted electronically using a cloud storage service (Here is a video on how to do this using Google Drive, but others such as DropBox, One Drive etc are fine too. ). Entries close on 1st September 2019 for Individual supporters, and 15 September 2019 for Clubs. Ensure photos are between 1Mb and 5Mb before entering. All photos should be re-named using the naming convention described on the entry form. Create a new folder on your cloud storage service, upload all the photos plus the completed entry form. Once we confirm by email that we’ve received your complete entry, your photos are in to win! *Individual Supporters are defined as those who sign up directly with FMC as Individual Supporters and pay the Individual Supporter fee. Please do NOT attach files to an email and do NOT use any social media such as Facebook, Instagram, Google Photos etc – they may compress your files without you knowing. 1Mb is about the minimum quality for print publication, should your entry win. Much beyond 3Mb is a little pointless, as there’s more pixels than the judges screen can display! Over $3,100 worth of prizes were won in 2018! Bivouac Outdoor: SOTO Muka White spirits stove plus bottle valued at $280, a Black Diamond Revolt Head Torch, valued at $119, An Exped DownMat HL Winter (M) sleeping mat, valued at $350 and Six $50 Bivouac vouchers for the top Individual Supporter entries: $1049 worth of prizes! Further Faster: An Aquabound Manta Ray 4 Piece packrafting paddle valued at $399. Potton and Burton: a total of 6 runner up Book prizes plus a category Book prize altogether valued at $365. Wilderness Magazine: Annual Print+Website+Digital subscription valued at $110. Excio: An individual Excio membership for each category winner, valued at $50. Otago University Press: a copy of “To the Mountains” by Paul Hersey and Laurence Fearnley, valued at $45. The definition of a “human element” is flexible but the general intention is: Where the photo contains as anything other than as a very minor feature: people, a hut, a track sign/marker, bridge, ice axe and anything else that has been introduced by humans into the environment then we would define that as having “a Human element”. But if a photo has what could be called a Human Element but that element is very small, inconsequential and not a feature in the photo then you could count it as “No Human Element”. 2. Entries for the contemporary categories must be taken after 1 Jan 2016. Any photos taken prior to this date will automatically be entered into the historic category. The intention for the historic category is for entrants to go back through club and individual archives to select “old photos” rather than “photos of old things”. As an example, a recent photo of a hut built in the 1950’s is not a ‘historic’ photo. However, a photo of the same hut taken in the 1960’s certainly is a ‘historic’ photo. Photos for the historic category must be taken before 1 Jan 2016. The prize for any winning photo from a club archive by a deceased member will go to the club. The prize for any winning photo from an individual archive by a deceased person will go to the person who entered the photo, whether through a club or as an individual supporter. 4. Definition of “Long Exposure” for the trial category. The intention of the long exposure category is for photography of scenes that the naked eye cannot normally comprehend. These shots would require a very long exposure and the use of a tripod. The category is intended for highly technical images of shots taken at night, (including star trails), or in extremely low light situations such as caves or canyons. The category is not intended for normal dusk/dawn photography, or images where a long exposure is used to ‘blur’ the image (such as flowing water, or movement of the subject). 5. All photos must be taken within New Zealand, which is defined as within our Exclusive Economic Zone. This includes the following islands; North, South, Stewart, Chatham, Kermadec, Sub-Antarctic. Adjustments for exposure, white balance, contrast & levels are allowed. Removal or insertion of features not in the original image is not allowed. 7. Only one entry per club is normally allowed, containing a maximum of two photos per category. The club entry must be authorised by a club committee member or delegate. 8. FMC acknowledges the work of volunteer judges. These volunteers are unable to enter their images in the club competition they are judging. Therefore, each club may submit a second entry, comprised of photos taken by the judges of club competitions. The club’s second entry for the club judges may contain a maximum of two photos per category. These photos will be considered alongside all other club entries. The club judges entry must also be authorised by a club committee member or delegate. Please use the ‘club’ entry form. 9. The judges reserve the right to amend the category of a photo which in their opinion, is entered in the incorrect category. FMC will not accept any entries which contradict FMC values, policies or any relevant laws. Where any entry is controversial, FMC may request that the photographer demonstrate how they adhered to any relevant rules. The photo competition organisers decision on accepting such an entry will be final. What if my club doesn’t have a photo competition, can I enter as an individual supporter? No; individual Supporters are defined as those who sign up directly with FMC as Individual Supporters and pay that appropriate fee. This does not include individuals whose club membership fee includes a proportion that goes to FMC. If you aren’t sure what category you are, Individual Supporter discount (membership) cards come directly from FMC. Club members of FMC affiliated clubs get their discount (membership) card from their club. If you still wish to enter (and we hope you do!) then we encourage them to consider volunteering to run a photo comp for your club. Its a fun, social event that most clubs seem to really enjoy. Have a look at the article on “How to run a photocomp” on our Wilderlife.nz blog site. If you’d rather not put your hand up to volunteer, then FMC will still accept one entry from your club, even if the club doesn’t have an official photo comp. In this circumstance, it is up to you to ensure that any interested members get a chance for their photos to be on that one entry your club is allowed. The entry form still needs approval from your club committee to submit the photos. FMC acknowledges and appreciates the work of volunteer judges who are unable to enter their images in the club competition they are judging. Therefore, we’ve added a rule which allows clubs to enter a second entry, comprised of photo entries taken by club judges. See rule 8 . What is a cloud transfer service? This is a service such as Google Drive, MicroSoft OneDrive, WeTransfer, Dropbox etc. You can have a look at this video which explains how to use Google Drive. I can’t figure out how to use a cloud transfer service, can you help me?